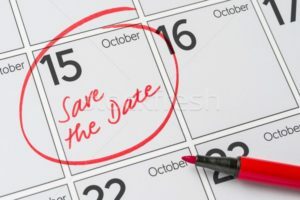 The Medicare Open Enrollment season is right around the corner, starting October 15th and ending December 7th. Many Medicare beneficiaries assume that they need to be doing something since they are overloaded with advertisements regarding Medicare Plans. This time can cause a lot of confusion for many as they do not know if they should be making a change or doing something! In this post, I will break down what the Medicare Open Enrollment Period is about and what you should be doing during this time. Each year, we help Medicare Beneficiaries like yourself to understand what their options are and if they need to be taking some kind of action. So what the heck is the 2018 Medicare Open Enrollment Period (OEP)?! or drug plan. 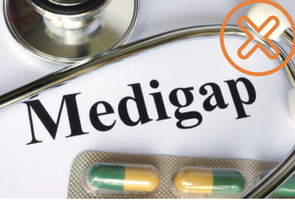 Each year, Part D drug plans and Medicare Advantage plans, get to re-file their benefits with Medicare. This means that the benefits and or premiums MAY change each year. So, Medicare lets you have an election period to allow you the opportunity to change your plan if you do not like the new changes. This is great news for Medicare recipient’s who have gone without a drug or health plan and are now ready to obtain coverage. Also great news if you wish to change your current health or drug plan. How Do I Know if I Need to Make Changes to my Plan? Your Medicare Advantage or drug plan provider will send you an Annual Notice of Change (mailed in September). Please review this document carefully as it will disclose any upcoming benefit or premium changes for 2018. The Annual Notice of Change lists the plan’s changes side-by-side from 2017 to 2018 which makes it easy to compare benefits! What Changes Can I Make During Medicare Open Enrollment 2018? Your choices for plan changes during the Medicare OEP? You will not need to go through medical underwriting or answer health questions when applying for a Part D drug plan so no need to worry about getting declined! Medicare Advantage plans are fairly easy to enroll into as well and the one health question that is asked is regarding End Stage Renal Disease. Why would I change my currently plan? Your plan will no longer cover your important medications next year OR the prescription will move up to a more expensive Tier level and therefore increase your cost. Your Annual Notice of Change letter will specifically list any changes to its drug formulary for next year. Please review this letter carefully! Your Medicare Advantage plan is dropping your doctor from its network. If one of your doctors is leaving the plan’s network, you may use the Open Enrollment to switch to a plan that your doctor will be participating in. Your plan has a drastic increase in premium. If your plan has a great increase in premium then you may use the Open Enrollment Period to shop around other plans. If you are happy with your current plan benefits and there are no significant changes for 2018, then you can stay where you are and do not feel pressured to switch plans just because you are being overloaded with advertisements! Your Medicare Supplement plan has federally standardized benefits that do not change from year to year. If you have a Medicare Supplement Plan F or Plan G (or any other Supplement Plan), then you do not need to worry about changes in benefits or networks. Your plan will continue to cover all the same benefits for the next year. Medicare Supplement Plans do have rate increases each year but this is not related to the Open Enrollment Period. Should You Shop Your Medicare Supplement Plan During the OEP? It is entirely up to you if you would like to shop your Medicare Supplement Plan during the Open Enrollment Period. Many of our clients do since they are already shopping their Part D drug plan. Please keep in mind that you may have to answer some health questions if you are wanting to switch Medicare Supplement plans. Some of our clients are often fearful to switch over their Medicare Supplement Plan to another carrier when we find that we can save them money. We often hear our clients say “But our Medicare Supplement pays so well and we love being able to choose our own doctors!”. Medicare Supplement Plans are all standardized so the benefits for a Medicare Supplement “Plan F” with one carrier such as Blue Cross, works exactly the same with another carrier. Also, the network of doctors remains the same since Medicare remains your Primary! CONTACT US DURING THE 2018 OPEN ENROLLMENT PERIOD! We know that this may be a confusing time and so much information to digest! That’s what agents like us are here for! Please feel free to contact us directly (844) 817-0878. Do I need to Sign up for Medicare if I’m Still Working at 65? Does Medicare Cover Chiropractic Care or Acupuncture?